Necrotic enteritis (NE) remains a formidable challenge in broilers raised without antibiotics, and preventing the disease means steering clear of predisposing factors and implementing a rigid coccidiosis-control plan, speakers said at the Second International Conference on Necrotic Enteritis. In a 2016 survey of US poultry veterinarians about important diseases, NE ranked second in importance to coccidiosis, said John Smith, DVM, Alectryon LLC, a poultry consulting firm in Baldwin, Georgia. 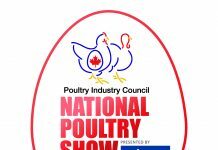 Chickens raised without antibiotics now account for 45% of US broiler production, and NE is costing this segment of the industry an estimated $6 billion dollars annually — a toll that’s likely to grow, Smith told the audience at the NE conference, held earlier this year in Denver, Colorado. NE in poultry is caused by the bacterium Clostridium perfringens (CP), which is highly resilient and difficult to eliminate in broiler farms, several speakers noted. 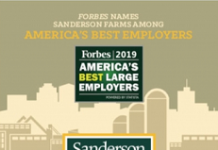 Dan Karunakaran, DVM, PhD, Arm & Hammer, said that a survey he conducted indicated CP levels were rising in broilers and turkeys from 2014 to 2017, which he noted correlates with the rapid rise in NAE production — from 4% in 2013 to 40% in 2017. The results of the survey, which involved 20 broiler and 25 turkey complexes, demonstrate that the incidence and severity of NE is linked to cycling of Eimeria organisms that cause the parasitic disease coccidiosis. Even healthy birds have low levels of CP, Karunakaran said. In broilers, CP levels were highest in 3-week-old birds, while in turkeys CP spiked at 10 weeks of age, he reported. Filip van Immerseel, PhD, from Ghent University, Belgium, reported on a worldwide survey he conducted on the prevalence of NE, which appears to be 6% to 7%. He said, however, that good global data on NE is lacking, that definitions of NE vary among regions and the prevalence varies widely by region. Asia has the highest rates of NE, he reported, although he gave no specific figures. In Belgium, 22% to 31% of layer pullet flocks have NE, he said. Many of the speakers highlighted the importance of predisposing factors that allow CP to proliferate and NE to occur. Van Immerseel cited coccidiosis, mycotoxins in feed, high-protein diets, immunosuppression and gut damage as key factors involved in allowing NE to develop. The bottom line for controlling NE is to prevent these predisposing factors and protect the epithelial cells of the bird’s gut, he said. Other predisposing factors cited at the conference were high stocking density and humidity. Indicating the clear connection between coccidiosis and NE, Mark Jenkins, Animal Parasitic Disease Lab, ARS, USDA, said that viable E. maxima and other Eimeria organisms were found on farms prior to chick placement on 35 of 60 houses tested in a study. Viable oocysts before placement means chicks need immediate protection. 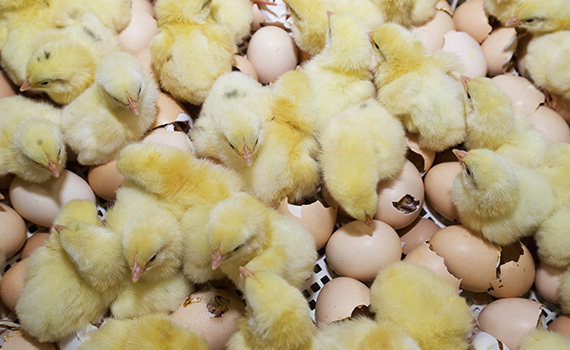 In programs where chicks are vaccinated for coccidiosis, usually at day-of-age, it’s important to make sure 100% of them ingest the vaccinal oocysts needed to stimulate a primary immune response, Jenkins said. Otherwise birds are vulnerable to infection. Greg Mathis, PhD, president of Southern Poultry Research, Athens, Georgia, and recognized worldwide for his coccidiosis expertise, explained that E. maxima is the type of coccidia that affects NE the most by damaging the gut. It’s not so much the quantity of oocysts the birds are exposed to but rather the pathogenicity of the E. maxima, he added. Marie Archambault, DMV, PhD, University of Montreal, said most CP isolates in humans and animals can form biofilms. In in vitro studies, she has found that biofilms protect CP against antibiotics and most disinfectants used on farms and in food-processing environments. Audrey Charlebois, also from the University of Montreal, reported on a study demonstrating that on a farm over a 3-year period, CP spores and biofilm persisted, contributing to contamination of the environment with the pathogen despite disinfection. Opinions differed about the role of NetB in the development of NE. NetB is the toxin produced by some CP strains, which leads to NE. Data from 2017 presented by Karunakaran demonstrated that healthy birds hardly have any NetB, while 100% of birds with NE have the NetB toxin. Joan Smyth, MVB, PhD, University of Connecticut, noted that for 40 years, alpha toxin was considered the issue with CP. In 2006, however, alpha toxin started to mutate in Australia. In 2008, the toxin NetB was reported in that country, and by 2009, NetB was reported in non-Australian isolates. While NetB toxin is accepted by researchers as the main cause of NE, Smyth wonders if that’s the whole story or if there are other virulence factors involved. Neha Mishra, PhD, also of the University of Connecticut, had similar reservations about the role of NetB as the sole cause of NE. There are cases where sick birds had both alpha toxin and NetB; furthermore, not all NetB strains produce disease, she said. Steve Davis, DVM, CEO of Colorado Quality Research, said that to prevent CP, chicks need early exposure to the pathogen. In studies, he has found that it’s more difficult to create NE outbreaks on used versus new litter. While birds on clean litter performed better before a CP challenge compared to birds on used litter, there was significantly higher mortality once the challenge appeared. Birds on used litter before a CP challenge didn’t perform as well as those on clean litter, but the severity of NE was decreased during controlled challenges, Davis said. Practical advice about how to deal with NE in NAE production systems came from Tim Cummings, DVM, technical services veterinarian from Zoetis, who has worked extensively with poultry producers. He emphasized that it’s important not to assume birds have NE and that a diagnosis is confirmed with necropsies. The key to successful NAE production starts with the broiler breeder pullets and goes all the way to the broiler growout house, he explained. There’s a myriad of details to emphasize, but pullet vaccination programs need to be strengthened and administered properly, floor-egg policies and egg-pack standards need to be reevaluated, and hatchery-sanitation efforts need to be reevaluated, which often translates into more manpower and upgraded equipment. Growout management also needs to be stressed, with an emphasis on certain key areas — most notably, increasing downtime; decreasing density if possible; properly administering coccidiosis vaccine to optimize uptake; minimizing litter moisture; keeping brooder birds warm; making nutritional adjustments; and keeping the birds eating in a steady-state manner, especially during the critical NE window timeframe of 2 to 3 weeks, he said. When transitioning from the use of in-feed antibiotics, which have historically been very effective in controlling NE, to an NAE program, the intestinal microflora will adjust rather quickly to some of the changes that are made; however, it will likely take a few growouts to shift the litter microflora on the built-up litter system used in the US. New litter is an increased risk factor for NE, Cummings emphasized. Several speakers at the conference focused on antibiotic alternatives to prevent NE including probiotics, prebiotics, butyrate, minerals and essential oils. Van Immerseel summed up the alternative-product discussion by saying that feed composition and digestibility are critical in NE prevention, but when deciding which alternative products to use, producers need to conduct several trials to establish whether they work consistently.